From contemporary hair designs to classic coiffes,we have long had an eye for cutting-edge beauty. Specializing in medical massage & positional therapy techniques. Rene Furterer, Philip B, Nioxin, Minardi, Davines, Mason Pearson Brushes, Bosley, etc. Wigs are selected from a number of the best known designers to provide our clients with the desired appearance and utmost comfort. 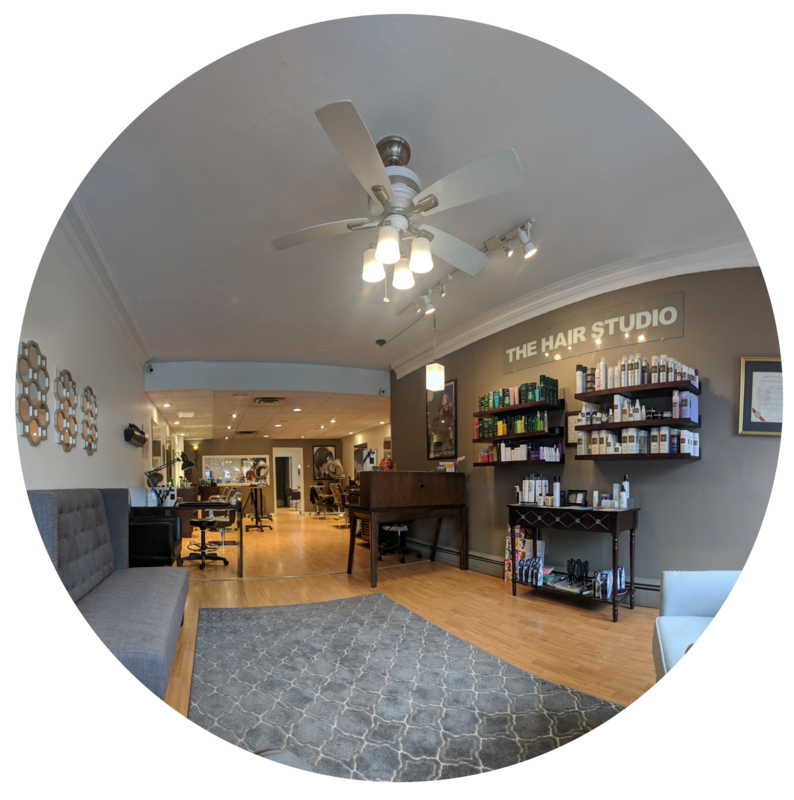 At the Hair Studio I aspire to excite my client with well thought out attention to their needs: a tasteful complement to the individual which focuses on their wishes, bone structure, hair texture and style. Awareness of trends and fashion is immediate, with the clients level of comfort foremost in mind. Relax with a Professional Swedish-Deep Tissue massage with Cheryl. Specializing in medical massage & positional therapy techniques. And ask about our 5 to 15 minute chair massages – perfect before or after a hair service! David Tlale Mercedes fashion week show. Want to work with the best? - Work with the only practicing board certified coloring professional in Berkshire County. Want to be valued for your skills and experience? - You'll receive vacationand health benefits in addition to commission.